I want to share this give-a-way, but more than that, I wanted to share these wonderful wings. They are so angelic and would be perfect for a doll. I have been doing a lot of thinking and thought it's time to write another entry to my blog. I've not written in a while, but decided it was time to write again. What has been on my mind is this "pattern sharing" everyone in the art world (or at least my circle of it) has been talking about. I'm not talking about a pattern two friends sit down and create something together. Some of my best loved patterns were those who belonged to my best friend who died of cancer a couple of years ago. Those patterns were well loved and have her hand-written notes on them. Some of my fondest memories of are our shopping together for patterns and spending time making those items together. They are special to me because they were hers and I'm thankful that her children passed them onto me. What I'm talking about is something I only learned about around a year ago; pattern sharing, exchanging, or trading. And something I've recently learned about; the selling of patterns on sites like Ebay and claiming them as ones they don't use anymore, yet they seem to have an endless supply. I started looking into this further and was shocked these last few days to realize that there are people who purchase a pattern, copy it and then resell that designer's pattern over and over again. I guess I was a little naive because I had a hard time believing that someone would actually do this. I knew right away it was wrong and still can't believe someone would actually do that. Then there's those who are doing trading, exchanging or sharing. These aren't people who are sitting down at a table and working on something together like I did with my friend, but people who are scanning patterns and emailing them all over the world to their friends and people they don't even know but somehow connected through the Internet. They seem to think that because they purchased the pattern they can share it with whomever they wish. This seems very wrong to me. And I can't help but think, could some of these "shared" patterns end up with those Ebay sellers? Do these people even realize they may have supplied a pattern to someone who will sell it over and over again. Do these people care if they did? I know I just dabble in pattern design and wish someday to have the time where I could stay home and design all the time. But there are some people who this is their livelihood. This is how they pay their bills. And I consider many of these designers my friends. I feel very badly that this is happening to them, as well as those who are like me, designing as a hobby. Worse, as the economy continues to struggle, I only see this getting worse. So, where does that leave me. I have hundreds of patterns that I've purchased over the years. Most I've purchased directly from the designer. Some from their authorized stores and/or dealers. But some I've gotten out of that craft show sale bin and Ebay. Now, I even wonder, did I purchase a pattern that someone may have copied and resold? Will I ever buy from a bin like that again? Probably not. Will I ever buy another pattern from places like Ebay again? Only if I know I'm getting it from the designer. I realize in the grand scheme of life, this may not seem important to some. However, to my designer friends, it is important to them and therefore, important to me. Also, my parents taught me right from wrong and whatever someone calls it, pattern sharing, trading, exchanging or selling those "ones" that they just don't use anymore but always seem to have an endless supply, is simply wrong. So, my little piece of advise today is if you are purchasing a pattern, online class, or book, please be sure to take the extra time to make sure you are getting it from the designer or a legitimate supplier. Because after all, right is right, but wrong is wrong. 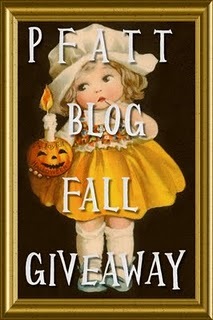 Even though our temperatures are still in the 90's fall is almost here and with fall comes the Pfatt Blog Fall Give-a-Way. I love all the Pfatt artists and their give-a-way is certainly one of the best. 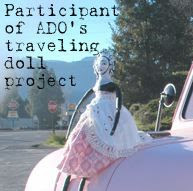 Be sure to jump over to their blog and enter to win! You also want to check out their blog on the upcoming Ghoultide Gathering September 30th - October 1st in Northville, MI. I have never attended this event, but have told it's not one to miss and hope to attend, perhaps even this year. Well, I guess today I'll try to make up for not blogging lately. The Vintage Polka Dot is also offering a great give-a-way. I love their designs too and they have some other great sites that you must check out. Remember, buy handmade! Support your local artists. Soft in the Head's 400th Give-A-Way! 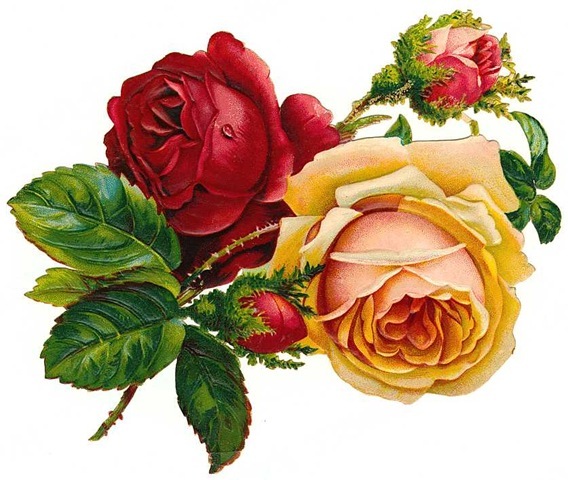 I love Pam's stuff and just have to tell you about her 400th give-a-way. 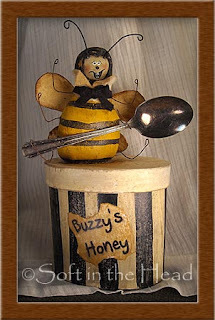 Jump over to her site by clicking the above photo of her "Buzzy Honey" and check it out. She does wonderful one-of-a-kind designs and has one of the best pattern lines. You can't help but love Pam's stuff!